A beautiful arrangement of gorgeous roses, germini flowers, carnations and shamrock blooms set in a bed of forest fresh greens. 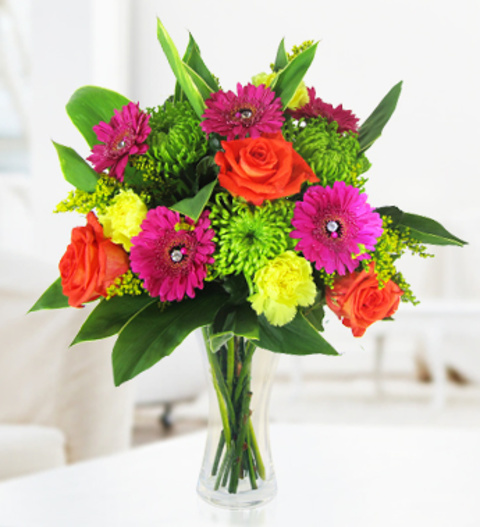 The arrangement is skilfully arranged by our talentined florists and is perfect for all occasions. The bouquet comes with a FREE box of delicious Belgian chocolates and is available for UK next day delivery. Chocolates may contain nuts.